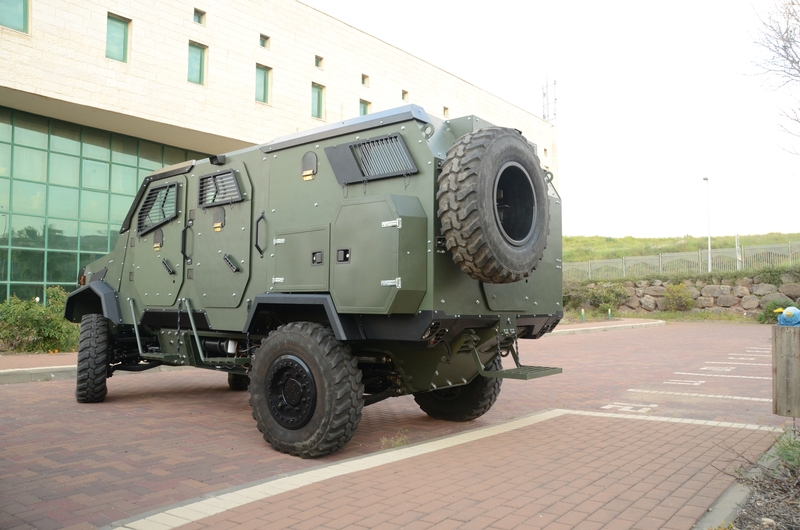 One of the few genuine MRAPs built in Israel is the Amir from Gaia Automotive. Weighing less than 10 tons, the Amir is an optimal 4×4 for missions over rugged terrain. While its appearance hardly sets it apart from similar models, the Amir has many unique features that make it suited for both combat and travel. According to the Amir’s product literature the truck is based on a ladder chassis that supports a welded steel hull. Its hull has STANAG II ballistic resistance distributed in two layers, with an option for additional composite panels that can stop armor piercing rounds. The Amir’s gross weight allows for a protection level reaching STANAG IV. Since it has a v-shaped bottom, Gaia Automotive claims it can withstand level 1a and 1b mine blasts. To distinguish the Amir from its competitors elsewhere, the customized steps beneath the side doors on the cab are unique to the vehicle. There are also round firing ports on each of the doors and on either side of the passenger compartment, which has seating available for up to 10 passengers who enter via the cab’s rear doors and a swing door at the back where a single spare tire is attached. Unlike other MRAPs, the Amir doesn’t utilize storage bins that serve as blast panels on the sides of the hull. There are storage bins behind the cab though for carrying additional gear. On the roof are two separate hatches that can serve as weapons mounts. When it comes to mobility the Amir has a top speed reaching 122 kilometers per hour with an operational range of 400 km. Automatic transmission and an independent suspension system allows drivers to navigate unpaved roads with ease. If it needs to wade across a pool or stream, the Amir manages depths up to two feet. Gaia Aumototive likes to emphasize the climate suitability of its vehicles and the Amir can operate in extreme weather, be it below freezing or in severe tropical heat. As a bespoke armored truck the Amir is available in a 6×6 configuration weighing 13 tons that’s designed for supporting different armaments. 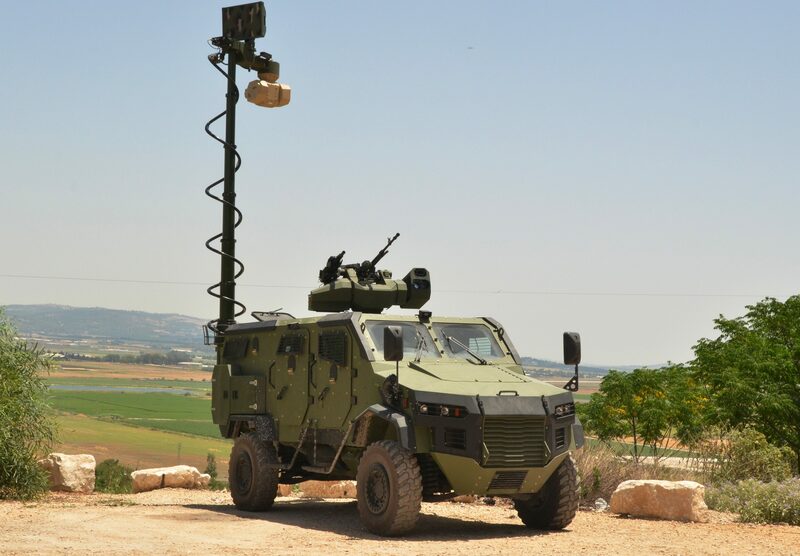 These include a remote weapon station armed with a 12.7mm machine gun; a turret for a large caliber cannon used on IFVs or an anti-aircraft gun like the 20mm Vulcan; either a 81mm or 120mm mortar; anti-air and armor missile launchers and even lightweight rocket artillery. 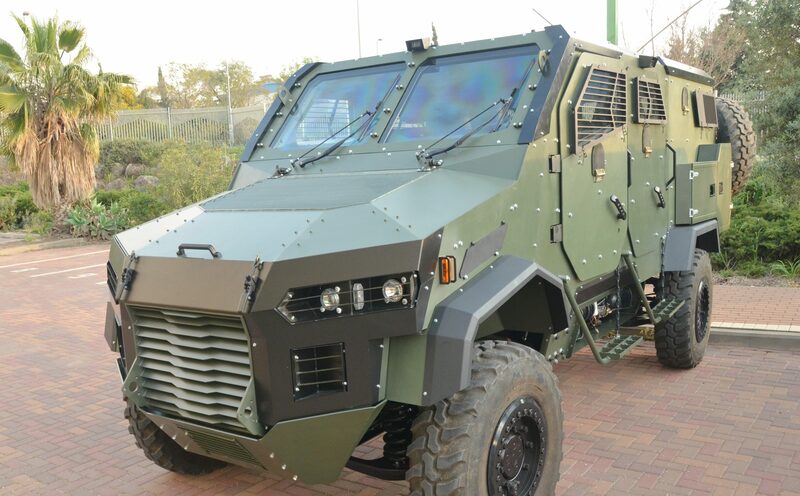 Its unquestionable credentials as a product by an Israeli firm with a deep expertise in armoring gives the Amir an edge in a crowded nice. 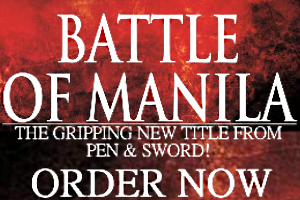 As of this writing, prospective sales with two unnamed end users are being negotiated. This is encouraging given the frenzied bullishness of the wheeled armor vehicles market right now. 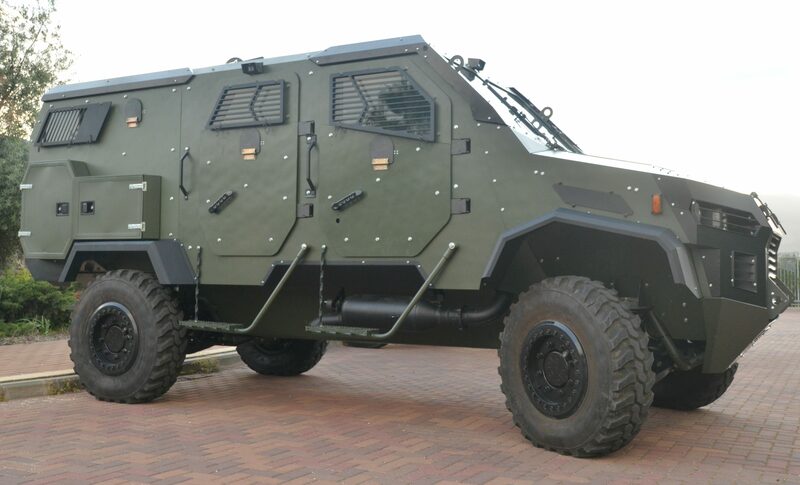 But Gaia Automotive are known for being generous with sharing their manufacturing with clients like when the company transferred its skills to a state-owned Ethiopian factory tasked with assembling 75 Thunder 4×4’s. Still, the Amir should interest potential clients from its region and beyond–think Africa, Central Asia, and Latin America. The grim reality of terrorist insurgencies and urban warfare makes it a serious option for armies who need to fight on wheels rather than old tracked APCs.